Did you know that National Martini Day is June 19th? It’s the perfect excuse to break out some glasses, crack open a jar or two of your favorite Jeff’s Naturals olives and take a relaxing and well-deserved sip. 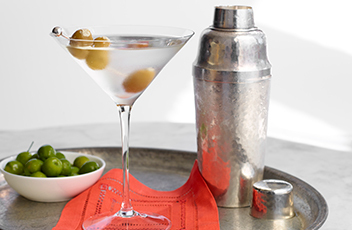 National Martini Day comes only once a year, after all! 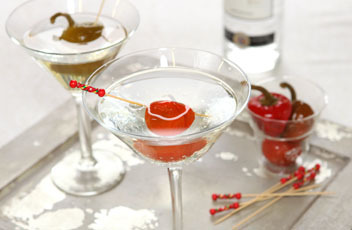 To honor the occasion, here are some helpful martini making tips and NEW martini recipe ideas! Be sure to keep your martini chilled with ice, however, you should not chill gin. The ideal combination is warm gin + cold ice. Cold glassware is a must for keeping your martini chill. We also find it brings a certain degree of class to your drink! Forget what James Bond has to say, shaking a martini will create air bubbles that make the martini opaque. Consider stirring the martini instead if you want to keep it clear and see-through. 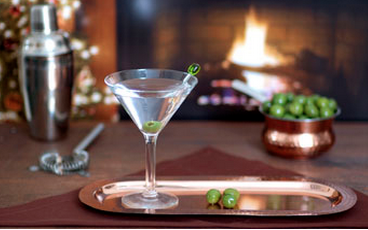 Enjoy your martini before it succumbs to room temperature (but don’t feel the need to rush)! Place the martini glass into the freezer to chill. Pour liquor into a martini shaker with ice. Shake for at least 20 seconds and pour into the chilled martini glass. Garnish with Bleu Cheese Stuffed Olives and enjoy! Fill a chilled martini shaker with ice. Add vodka or gin with a splash of pepper brine and shake well for about 30 seconds. Strain into a chilled glass and garnish with a hot cherry pepper or two. Fill a chilled martini shaker with ice. Add gin and vermouth. Shake well, about 45 seconds. Using a cocktail strainer, pour into a chilled glass. Thread three olives (representing health, love and wealth) onto a cocktail stirrer or rosemary sprig and serve.